MIDDLEBURG, VA (July 8, 2013) – Salamander Resort & Spa, one of the most eagerly-anticipated hospitality projects in recent memory, will open on August 29, 2013, in the storied village of Middleburg, VA. Owned by Sheila C. Johnson, Founder and CEO of Salamander Hotels & Resorts, the luxurious property features a previously unattainable collection of equestrian, spa, culinary, winery, nature and historic experiences, and is the only new luxury destination resort in the United States opening in 2013. A decade in the making and located on 340 picturesque acres in the heart of Virginia’s famed horse and wine country, the resort is only 35 minutes from Washington Dulles International Airport, while there are private airports in the nearby towns of Leesburg and Winchester. Historic Middleburg, located in Loudoun County, is also only an hour’s drive from downtown Washington, D.C. Designed to blend into the surrounding rolling countryside and respect the traditions of Johnson’s own nearby Virginia farm, which served as the architectural inspiration, Salamander Resort & Spa features 168 luxurious, spacious rooms and suites originally fashioned by renowned designer Thomas Pheasant. Throughout the property, which is characteristic of the horse country, a residential theme blends seamlessly with techniques that create the impression the building has evolved over the course of centuries. This style is eminently prominent in the resort’s Living Room, which is the first space a guest encounters upon entering. Featuring two grand fireplaces, intimate groupings of furniture and wide, distressed oak-planked flooring, the room opens onto a large stone terrace and a sweeping Grand Lawn. In 2005, Johnson founded Salamander Hotels & Resorts to manage the development of the project. The company, which includes numerous hospitality executives who have opened Forbes Five Star and AAA Five Diamond-rated properties, now also operates Innisbrook, Reunion and Hammock Beach resorts in Florida. Well known as one of America’s top entrepreneurs and the co-founder of Black Entertainment Television (BET), she is a partner and vice chair of Monumental Sports & Entertainment, which owns the NBA’s Washington Wizards, the WNBA’s Washington Mystics and the NHL’s Washington Capitals. Just over 50 years ago, Middleburg captured the nation’s attention. Despite already serving as the nation’s unofficial equestrian capital and playing prominent roles in both the Revolutionary and Civil wars, when then-President John F. Kennedy and First Lady Jackie Kennedy began spending their White House weekends in the village, the world’s media watched – then followed. An avid equestrian, Jackie would spend hours riding – including on the Salamander property – while the President even held press conferences in the village. Today, Middleburg still remains a one-stoplight-village which espouses the equestrian lifestyle with quaint stores, beautiful galleries and historic sites. And now, at the end of a winding, half-mile driveway, awaits one of the world’s finest new resorts – one which will open its restaurants, spa and an array of recreational activities to members of the community, is registered for the Leadership in Energy and Environmental Design (LEED) certification and has 200 of acres into a conservation easement. Salamander Resort and Spa’s luxurious guestrooms and suites reflect the quality details found in a fine Virginia estate and, measuring 545-575 square feet with 10-foot ceilings, they far exceed the typical size for a luxury resort guestroom. Features includes a unique adaptation of the traditional canopy bed, a sitting area which features a full-sized corner sofa, a round dining table for two, executive writing desk and a 40-inch flat-panel, high-definition television. Many include a working fireplace, while all feature and gracious balcony or terraces. The bath area offers a large marble shower with body jets, pedestal soaking tub, stone and metal vanity stand with dual sinks, enclosed water closet and a flat-screen television. Each of the four floors is themed by season: summer, spring, winter and fall, and the guestrooms and guest hallways feature photography taken by Johnson reflecting the corresponding time of the year. The resort’s 17 suites are highlighted by the 2,000-square-foot Owner’s Suite, which features numerous antiques and collectables from Johnson’s personal art and furniture collection. With a full-service equestrian center and an array of programming that includes riding instruction and clinics from the area’s world-class riders, Salamander Resort & Spa embraces the region’s geographic culture, including jumping and polo. Just a short trot from the property’s 22-stall stable and riding ring are miles of trails on which riders can easily spend a full day. Equine enthusiast guests even have the opportunity to board their own horses. 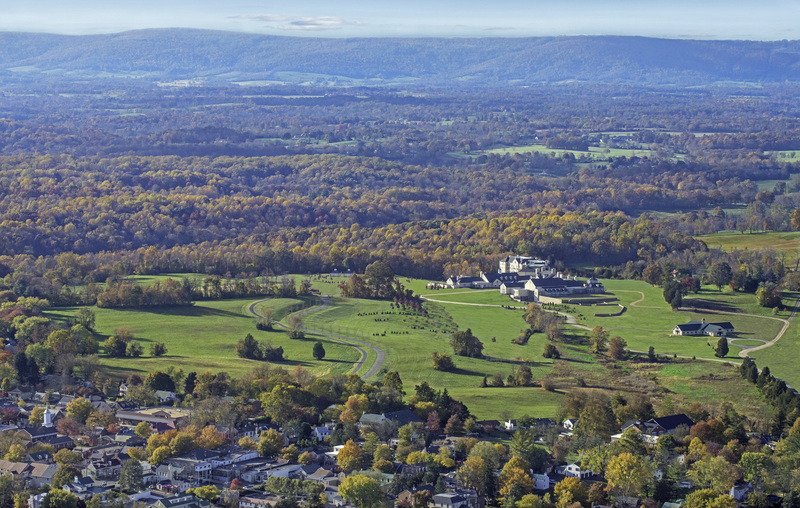 Using the resort as a base, there are endless ways to experience Virginia’s Horse Country – from attending steeplechase races headlined by the Virginia Gold Cup to world-class show jumping events like the Upperville Horse Show. Driving Johnson’s original vision was the opportunity to create the Washington, D.C. region’s first world-class destination spa, a special retreat that embodied her passions for uncompromised quality, creative design and a healthy lifestyle. And, she succeeded, creating a unique wellness program in a setting of luxurious elegance. Drawing on the inspirational venue with treatments that incorporate the surrounding area’s rich bounty, the Salamander Spa features 14 spacious treatment rooms with private stone treatment terraces and fireplaces, while the locker rooms include extraordinary whirlpools, steam rooms, heated stone loungers and experiential showers. There is also an innovative detoxification Rhassoul wet treatment and a spectacular Couples Suite with private patio and hot tub. Capping the spa’s incredible spatial offerings is a tranquil outdoor courtyard, featuring an infinity pool, private cabanas, whirlpool, fire pit and dining café. The Salamander Spa also features a luxurious salon for hair, makeup, manicures and pedicures, as well as a sun-lit fitness facility with indoor pool, cardio and weight room and movement studios for yoga, tai chi and other classes. Salamander Resort & Spa’s culinary program is overseen by award-winning Chef Todd Gray of the acclaimed Equinox restaurant in Washington, D.C., who has identified a defined synergy between his classical training in Italy’s Piedmont region and his upbringing in the Virginia Piedmont, where the resort is located. At Harrimans Grill, which features a soaring 42-foot-high ceiling and enjoys a panoramic view of the Bull Run Mountain Range, the cuisine celebrates Virginia’s Piedmont region, including a robust selection of steaks, chops, fruits and vegetables. The Gold Cup Wine Bar, designed like a winery tasting room with brick floor and wood-beamed ceiling, features flites of wine from around the world and a creative menu that offers small plates inspired by the Italian Piedmont. A forefather of the farm-to-table movement, Chef Gray was instrumental in the creation of a two-acre culinary garden, just steps from the resort’s kitchen, where much of the produce will be picked and many of the daily cooking classes will begin. Those classes culminate in a state-of-the-art Cooking Studio, which features a retractable wall affording a view into the resort’s working kitchen. The studio will also host the resort’s exclusive visiting chef program. Salamander Resort is positioned at the center of Northern Virginia’s emerging wine country – commonly known as D.C.’s Wine Country – and there are over 50 wineries located within a 60-minute drive. The closest vineyard is only two minutes away from the resort’s front doors, and the area’s topography and award-winning varietals have prompted favorable comparisons with California’s noted wine regions. The area’s winemakers will regularly offer tastings at the resort, while private vineyards tours can be arranged for guests, who can enjoy country picnic baskets filled with fresh, farm-to-table cuisine from the resort’s kitchen. There is no shortage of other activities to relish at Salamander Resort & Spa, including an ecologically oriented tree top canopy tour that includes aerial walkways and intermediate viewing platforms. The resort also offers nature tours of the area, falconry, an outdoor pool area for families, tennis courts, and a Jack Nicklaus Signature golf experience at nearby Creighton Farms Estates. For history buffs, a short drive from Middleburg are numerous other visitor attractions including Civil War battlefields, George Washington’s Mount Vernon Estate, Thomas Jefferson’s Monticello plantation and the Journey Through Hallowed Ground Byway. Perfect for day trips are the famed Blue Ridge Mountains, Appalachian Trail and the Shenandoah National Park. One of the driving forces behind Johnson’s decision to build Salamander Resort & Spa was the relative absence of a luxurious and private meeting retreat in the greater Washington, D.C., region. Therefore, the resort features an array of facilities designed with corporate and association meetings in mind, as well as social functions and destination weddings. This includes the 5,000-square-foot Middleburg Grand Ballroom, the exquisite Hamilton Boardroom, a restored century-old Stallion Barn and variety of stone courtyards with stunning views. Rates during peak season at Salamander Resort & Spa range from $425 to $575 per night for a deluxe guest room, depending on views and availability. Non-peak season rates begin at $275 per night. Suite pricing ranges from $775 to $3,500 per night. Special group rates, pre-opening packages and creative teambuilding options are also available. Salamander Resort & Spa is a member of the prestigious Preferred Hotels & Resorts collection. Salamander Hotels & Resorts is a privately owned and operated company based in Middleburg, VA, just outside Washington, D.C. Founded by entrepreneur Sheila C. Johnson in 2005, the company has a portfolio that features a collection of three stellar golf resorts including the recently renovated Innisbrook Resort near Tampa, Reunion Resort in Orlando and the oceanfront Hammock Beach Resort in Palm Coast; and the eagerly anticipated Salamander Resort & Spa in Middleburg, a 340-acre equestrian-inspired, luxury resort located near Washington, D.C. opening on August 29, 2013. For additional information, call (540) 687-3710 or visit www.salamanderhotels.com.